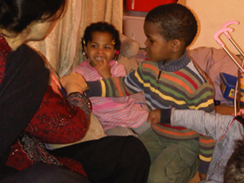 The children are involved in a number of fun, enjoyable and learning actvities with us all day. Our picture slideshow gallery will show you how and what different children do while they are in our care. Click The START button to start the slideshow. Slides will run with a 5 second interval. Click STOP button to pause the slideshow and the START button to resume.